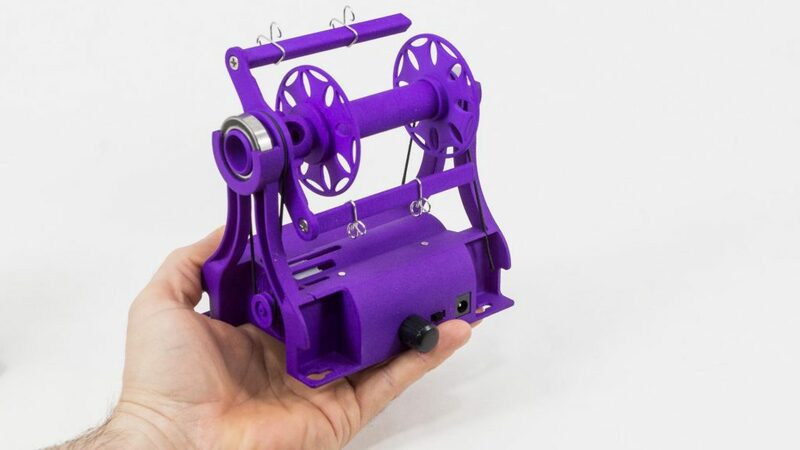 Dreaming Robots launched a new electric spinning wheel on Kickstarter. There are lots of spinning wheels that spin wool into yarn, but this one is extraordinary in several ways. First it has a beautiful design and solid feel. This design not only looks great, but it’s open nature is helpful as it lets people see their yarn while they spin it. Secondly it has been designed to help make spinning easier for new spinners. The lower price and simple to use features makes it great for people learning to spin. Lastly it is designed to be the ultimate travel spinning wheel. It’s small, lightweight, and durable design when combine with it running off a USB port makes it great for spinning with friends anywhere. 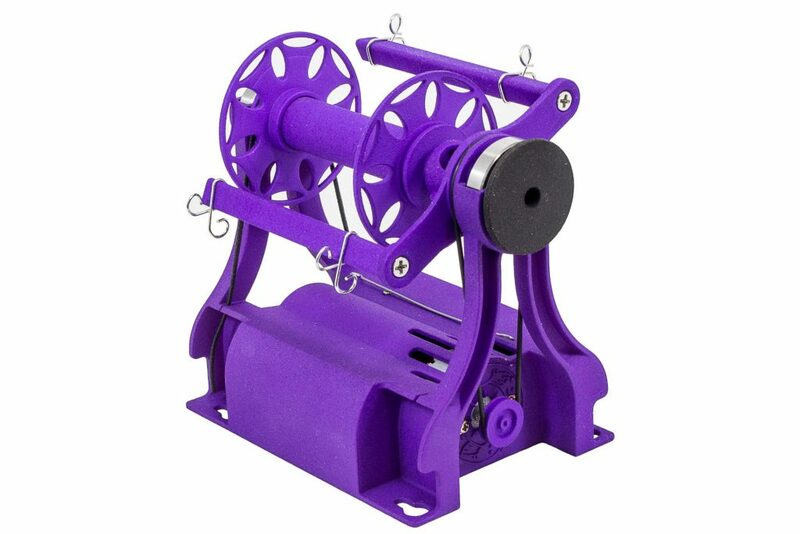 In this age when people are trying to get more connected to nature spinning is a great hobby since it lets you make yarn from animal and plant fibers. Then using a pair of knitting needles you can make that into some clothing. This is called going from sheep to shawl. 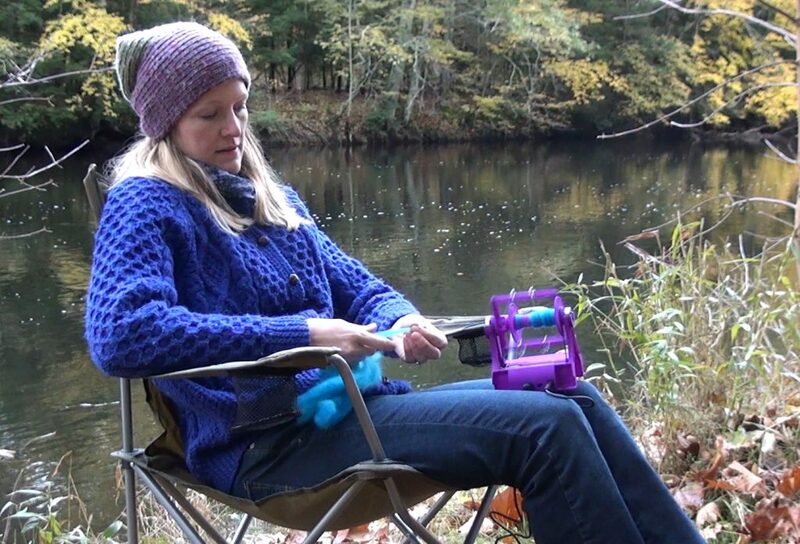 The Electric Eel Wheel Mini is a great spinning wheel to help you do this. For more information visit the Electric Eel Wheel Mini 2 Kickstarter. Press, if you are looking for higher resolution images or additional content please contact us. Spinning is about taking animal fibers such as wool and twisting it into yarn. It’s a great hobby that helps you appreciate making something. Something as simple as a pencil would be nearly impossible for a single person to make, but you can take a sheep fleece spin that into yarn, and then knit that into mittens or a sweater. Spinning is a very fulfilling hobby. Learning how to spin different animal and plant fibers into yarn is easy. It generally takes only a few minutes to gets started, but you can spend a lifetime perfecting some of the more advanced techniques. This guide will focus on teaching people how to get started. There are three major ways people learn to spin today. Electric spinning wheels, treadle spinning wheels, and drop spindles. Drop spindles won’t be covered by this guide, but there are many other guides out there if you want to look into it. Many people will learn on a treadle wheel, but electric spinning wheels are becoming more popular now that affordable options like the Electric Eel Wheel exist. Learning on an electric spinning wheel is easier because you don’t need to coordinate your feet and hands since a little motor handles spinning the wheel for you. Otherwise learning to spin on electric or treadle wheels is very similar and this guide should work for both of those. The basic steps to get started spinning are to attach a lead yarn to your bobbin and guiding it through your spinning wheel. Then you start spinning your wheel to add twist to your fiber (or rovings), and let it feed onto your bobbin. Then you must constantly monitor the yarn going onto the bobbin to make sure it has the right amount of twist. Below is a short video that shows these steps in more detail. After spinning that you have what is called “singles”. This means your yarn is a single strand. Many people will then ply the yarn together. There are different ply techniques, but the simplest is to just reverse the direction of your wheel and spin two bobbins of singles yarn onto a third bobbin. The reason you must reverse the direction of your wheel is so that you don’t untwist the yarn when plying it together. Here is a video that explains plying in more detail.